Tickets on sale now! Purchase your Taste tickets HERE. The 15th Annual Taste of Coastal Carolina in New Bern is scheduled for March 13, 2018. The Taste of Coastal Carolina is New Bern’s major annual fundraiser supporting the work of the three Riverkeepers for the Neuse and Tar-Pamlico Rivers, including the Lower Neuse RIVERKEEPER®. Last year 20 local restaurants, caterers and bakeries participated in The Taste of Coastal Carolina providing a great selection of mouthwatering tastes ranging from savory to sweet. Tickets are $100 each which includes a $60 tax deductible donation to Sound Rivers – purchase tickets HERE. All patrons enjoy reserved seating, a bar with complimentary wine and beer, additional wine and beer tastings, and some of your favorite restaurants serving up great food. Doors open at 5:30pm. The relaxed atmosphere allows patrons time to enjoy friends, sample great variety of food from local restaurants, and a chance to vote for their favorite dishes. Every effort is made to accommodate requests to seat friends together, and the purchase of 10 tickets reserves a complete table for friends or business associates. Tickets will go on sale by mid-January, so check back for updates! 2018 Participating Restaurants – More to come! NEW for our 15th Year! Bluegrass and folk bands from around North Carolina and across the country will come together for a celebration of food and music this September during the inaugural Piggin’ and Grinnin’ festival at Tryon Palace, North Carolina’s first capitol. 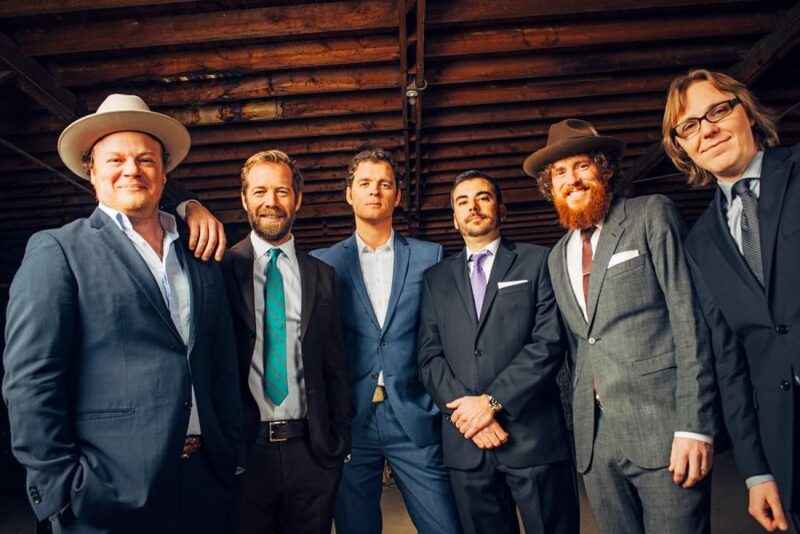 Held on the picturesque Tryon Palace South Lawn, Piggin’ and Grinnin’ offers a full lineup of bands, including the Steep Canyon Rangers, Sierra Hull, Chatham County Line, Mountain Faith, Balsam Range, Blind Boy Paxton, Merchant’s Road, and Strung Together. Enjoy the tunes and the views with cold drinks, craft vendors, and a food truck rodeo with plenty of piggin’ going on. Tickets offered as General Admission on the lawn or VIP, which includes two complimentary drink tickets, seating near the main stage, meet and greet opportunities, and VIP parking. MumFest is a combination of family fun, entertainment, attractions, exhibitors and great food in the beautifully restored setting of historic downtown New Bern and its waterfront. More than 100,000 festival-goers enjoyed Mumfestivities in 2016. And, MumFest 2017 promises to be another fabulous fun-filled fall weekend! So be sure to mark your calendar for October 13-15! MumFest is one of the finest award-winning festivals in the state of North Carolina. It is recognized statewide as a major eastern North Carolina family festival, and has received numerous awards over the years to include Best NC Main Street Downtown Event, Southeast Tourism Society’s Top 20 October events, and the Sun Journal Reader’s Choice winner as Best Festival for many years running. MumFest is a great weekend for visitors of all ages! The North Carolina Seafood Festival is in its 30th year. The North Carolina Seafood Festival is a not-for-profit organization of Carteret county citizens and business people, in conjunction with the town of Morehead City, N.C. Recognizing the importance of seafood to eastern North Carolina, Seafood Festival, Inc., organized to develop and conduct a festival every year, the first weekend in October, to: promote the positive social and economic impact of the seafood industry on the citizens of North Carolina; educate the public about seafood and its importance to the state economy; publicize the wide variety of seafood indigenous to North Carolina and provide the opportunity for people to enjoy it; boost tourism and recreation in eastern North Carolina in the non-summer months; establish a scholarship program for educational pursuits related to the seafood industry; provide the opportunity for North Carolina non-profit, civic, church and educational organizations to raise funds through participation in the festival. Festival proceeds are shared with community organizations who donate their efforts to the event. Since 1987, over $1.8 million has been dispersed among participating Carteret County non-profit groups. FIREWORKS at 9pm over the water! #JourneyToThirty | Impacting Our Community from North Carolina Seafood Festival on Vimeo. Break out those date books (OK, smart phones) and be sure to plug in Beaufort Wine and Food’s Craft Beer Festival – September 29 & 30, 2017! The exciting 2 day festival will feature a variety of Beer seminars, luncheons and dinners in area restaurants, pubs and breweries as well a Pub Crawl and crowd Favorite – Beer, Bubbles and BBQ! The two day festival will focus on North Carolina craft breweries and brew pubs, with a sampling from across the state. Check back often for details on this not-to-be-missed event. This incredible festival lineup will be published soon!